Summary: Sierra Santiago was looking forward to a fun summer of making art, hanging out with her friends, and skating around Brooklyn. But then a weird zombie guy crashes the first party of the season. Sierra’s near-comatose abuelo begins to say “No importa” over and over. And when the graffiti murals in Bed-Stuy start to weep…. Well, something stranger than the usual New York mayhem is going on. Review: It’s been a while since I’ve last read an urban fantasy novel, so I was looking forward to reading Daniel Jose Older’s debut YA novel. Older also attended the same MFA program as I did, so I expected the writing to be top notch. I had high expectations for Shadowshaper and I have to say that they were met. You all know that I have a bad habit of sacrificing sleep in order to finish a novel and well, I sacrificed sleep because Shadowshaper was just that intense. Most urban fantasy novels that I’ve read dealt with vampires, werewolves and ghosts, so the mythology that Older creates in Shadowshaper is fresh and unique. The magic that Sierra learns, and eventually uses, is rooted in spiritual magic which is an aspect of Afro-American & Afro-Caribbean culture. The Shadowshapers are essentially conduits for the spirits to enter and bring to life the artwork that Sierra creates. This creates a more cooperative relationship with the sprits instead of an adversarial one. However, depending on what the Shadowshaper wishes the spirit to do, the spirit could be malicious, such as the creepy zombie creatures that the antagonist Dr. Wick creates. Really, those things are scary. While the mythology Older created was a highlight of the novel, Sierra Santiago was the absolute best part. I loved her! Sierra is a terrific artist who has been tasked with creating a mural on a mysterious tower. The way Older describes her artwork, I could picture in my head and what I imagined is amazing. While her artwork is how her Shadowshaper magic works, Sierra is curious and unafraid to take risks as she attempts to discover why elder members of her community are disappearing. She is the one who takes charge of solving the mystery, instead of “falling” into the mystery as many protagonists of urban fantasy stories do. Sierra is the one who is deciding of her fate, even as she learns of her importance to the Shadowshapers. Sierra is truly a leader among her friends, and even when she meets Robbie, who helps her learn her Shadowshaping abilities, he doesn’t overpower her and follows her lead. She is a character that a reader can instantly connect to and root for, even when she makes some not so smart decisions (as a teenager is apt to do). Sierra Santiago is a character that has been badly needed on the YA/Urban Fantasy scene. The writing in Shadowshaper is full of Brooklyn flavor that gave this California girl a real sense of what life in New York is like. The story moves at a good pace, revealing its secrets slowly (almost too slowly for this impatient reader) that when a lovely plot twist is revealed, it turns Sierra and the book in a wonderful new direction. I greatly enjoyed the mystery of tracking down Dr. Wick and his unnatural creations as well as learning about the Shadowshapers and the impact they have had on Sierra’s life. My only wish is that I was able to spend more time with Sierra and the world of the Shadowshapers, but hopefully there will be a sequel as Older created a fun, unique world that readers will want to revisit again and again. Recommendation: If you want to be in the know, you better get this book. 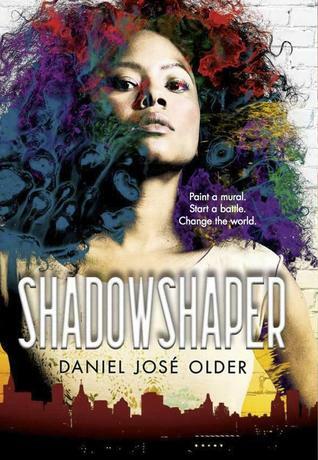 I have not read urban fantasy, but after reading your review, SHADOWSHAPER will be my first!